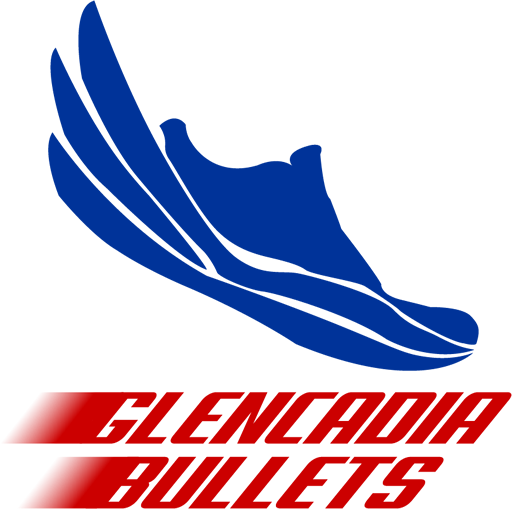 We are very pleased that your athlete has chosen to register with the Glencadia Bullets Track and Field Club. In order to ensure that our parents and athletes enjoy a fun and successful season, the following important information is provided for your reference. The Glencadia Bullets is a certified USA Track & Field Club, sponsored by the Glencadia Rod and Gun Club of Stuyvesant, NY. As a USATF certified team, there are certain guidelines and rules that we must adhere to in order to provide a safe and fair environment for all athletes. To participate on the Glencadia Bullets USATF team, your athlete MUST be between the ages of 7-18 years old, or turning 7 years old by the end of this calendar year. All of our coaching staff and coordinators are USATF members and have completed the Safe Sport Training. Our USATF Club Code is 212. If your athlete would like to register for USATF membership (which is NOT required for local Empire State Council meets, but IS required for all USATF meets), you will need this code. Additional information on registering for USATF membership is attached. ** Athletes who are still 18 through the final day of the USATF National Junior Olympic Track & Field Championships are eligible to compete in the 18-19 age division through that meet. Occasionally we are asked to help with supplying volunteers, either for USATF or for Empire State Sports Council meets. If you are interested in volunteer opportunities for these meets, please speak to one of our team managers. Please note that parents are NOT allowed on the field of competition during ANY USATF meets. Walking on to the field during a USATF meet may result in disqualifications. – If your athlete is 12 years old or younger, please stay at the track during practice. – If your athlete is 13 years old or older, they may be dropped off at practice, provided we have a cell phone number where we can reach you. All parents are strongly encouraged to remain at the track for the entire length of each practice, in case of injury, emergency, or the sudden onset of inclement weather. – All Glencadia Bullets must wear their team issued uniform during meets. Often we have extra uniforms on hand if your athlete forgets theirs. Bibs will not be issued to any athlete who is not wearing their uniform. – Entry fees for Empire State Sports Council meets are covered by the Glencadia Rod & Gun Club as Team Sponsor. If your athlete signs up for a meet but then cannot compete (for any reason), you will be asked to reimburse the club for the cost of that registration. Negativity in any form in our team environment or on social media – from athletes or parents/family members, etc. – will not be tolerated. Please monitor your child’s social media. Disparaging comments about our team, coaches, coordinators, or other athletes, on “personal” Facebook pages or other social media accounts – by athletes or their parents – will result in disciplinary procedures. Parents are responsible for their child’s social media presence, as well as their own, when it comes to comments about the team. Our goal is a positive team environment. Thank you for helping us to maintain this positive atmosphere for all of our participants.